The team of experienced professionals at our Columbia office can handle farm and ranch management, as well as real estate sales and consultation services. Give us a call today to discuss how we can help with your needs. Chris is the Managing Broker of UFARM, but has served the company for over 20 years. He not only keeps the management and operations side of UFARM running smoothly but takes pride in the efficiency and expertise he provides to his clients as he assists them with the sales and purchase of rural property. He was raised on a diversified row-crop and cow/calf farming operation near Shelby in east-central Nebraska and currently lives on an acreage south of Lincoln, where he raises horses, hay and row crops. Committed to the future of the ag industry and the youth of our state, Chris is actively involved with 4-H including being past president of the Lancaster County 4-H Council. He has also served, and continues to serve, on various 4-H committees as well as the Lancaster County Extension Board. Chris and his family raise and show quarter horses in both 4-H and breed shows. In addition, Chris coaches youth soccer and softball and is active in his church having served as Financial Secretary and led a recent building and expansion project. He is also past president of the Nebraska Agribusiness Club. 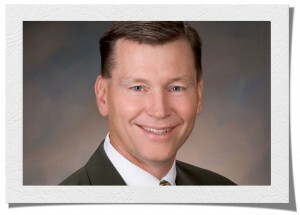 Chris studied Ag Economics at the University of Nebraska-Lincoln and has held a Nebraska real estate license since 1996. He participated in the Nebraska LEAD Program – LEAD Class XIX, (1999 – 2001).